The distinctive iconography of Saul Leiter’s early black and white photographs stems from his profound response to the dynamic street life of New York City in the late 1940s and 50s. While this technique borrowed aspects from the photo-documentary, Leiter’s imagery was more shaped by his highly individual reactions to the people and places he encountered. Like a Magic Realist with a camera, Leiter absorbed the mystery of the city and poignant human experiences. 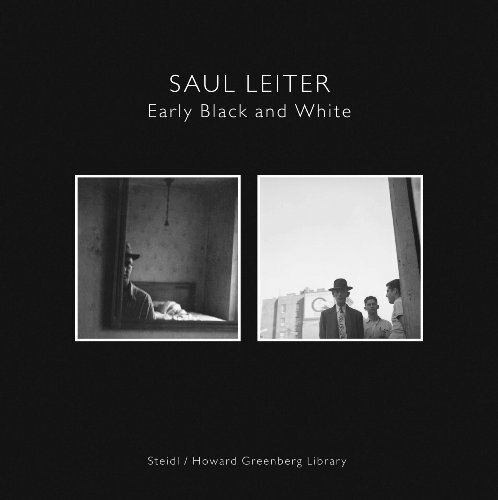 Together with Early Color, also to be re-released this season, Early Black and White shows the impressive range of Leiter’s early photography. Packaged as a 2 volume set.